Should You Tip an Uber Driver? What is the Tesla Powerwall? 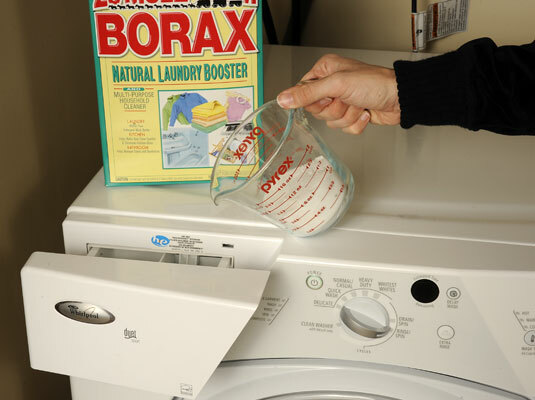 A natural mineral that disinfects, borax whitens laundry and brightens the kitchen. Add it to your laundry powder to whiten and soften discolored towels and other whites. 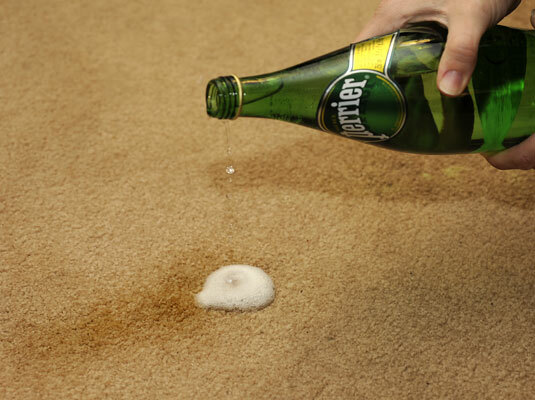 Remove carpet stains, even red wine and coffee, simply by dribbling soda water on the stain and dabbing it away with a clean cloth. 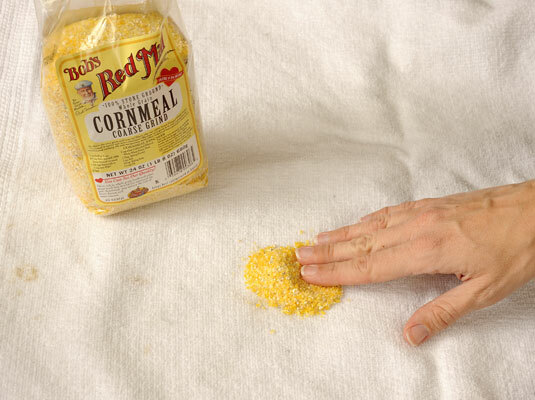 Absorb grease stains by rubbing cornmeal on the stain and then brushing it off. This acidic marvel works great on lime scale on bathroom fixtures. Soak a tissue and set it on a stubborn area. Bottled lemon juice works just as well as fresh, so don’t wear yourself out juicing. Remove rust from clothing by soaking the item in lemon juice for an hour, rinsing, and then washing it. Be aware that the acid can “eat” away color, so test it before using it on a valuable garment. Take finger marks off stainless steel with olive oil (don’t waste the more expensive extra virgin type!). Mix about one part vinegar to three parts olive oil for a good polish for wood floors (or add a few herbs for a nice salad dressing). 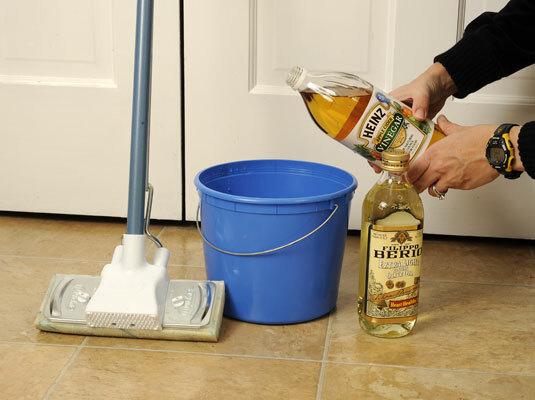 Use regular distilled white vinegar (not your expensive balsamic) to clear away grease and deodorize. 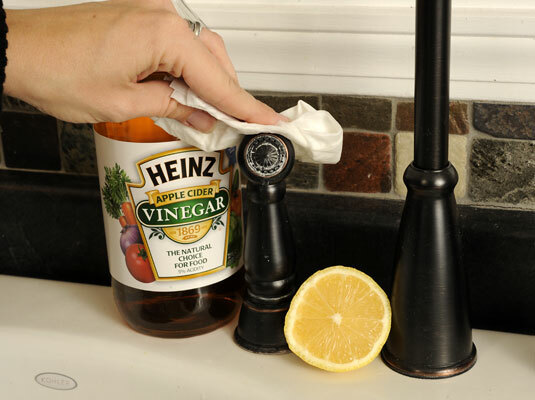 Vinegar cleans lime scale off bath tubs, sinks, and shower heads. Soak the shower head in vinegar and then brush the built-up lime scale off with an old toothbrush. And it’s great for cleaning windows the green way. Just spray a mixture of equal parts vinegar and water on the windows and wipe them with old, crumpled-up newspaper to shine them up. As a paste: Scrub mildew in the shower and on shower curtains; clean tiles and grout. On a damp sponge: Brighten taps and other chrome fittings; clean worktops, appliances, and other surfaces. Dissolved in warm or hot water: Clean your fridge inside and out; soak dirty pots and pans for an hour before scrubbing with an abrasive scrubber.